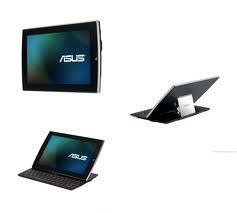 Asus recently launched its Eee Pad slider which carries a full QWERTY slide-out keyboard and is first of its kind. Asus Eee Pad Transformer, the predecessor of this model had a detachable keyboard provided with it, but this Slider model is really an attractive piece of device which can easily pull gadget lovers towards it. Laptopmag reviewers got their hands on a Slider sample, and looking at their review – the device looks pretty impressive, although not much different from its elder sibling. For flipping the device into the slider mode one needs to insert a finger between the two layers on the top side of the chassis (just above the front facing camera) and push it upwards. This leads to exposing the keyboard with the screen on a 45 degree angle. According to laptopmag’s report the sliding motion is smooth and the hinge felt pretty sturdy. The keyboard provided contains a full complement of keys, including the arrow keys along with some special function keys like the home, menu, back, and the search key. Along with the attractive look of the Slider it can also be counted among one of the bulkiest tablet in the market. With the keyboard retracted it measures 10.7 x 7.1 x 0.7inches and also weighs around 2.1 pounds (almost one kilo) which makes it heavier than the Galaxy tab 10.1. However, with the keyboard attached the Eee Pad Transformer was much heavier than the Slider. 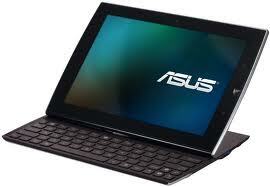 Android based Honeycomb 3.2 powers this Asus Eee Pad with a new user interface. It is also provided with an interactive animated wallpaper of ice cubes floating on the water, where the water level reduces according to the battery level as well as the ice cubes moves with the tilting of the tab. 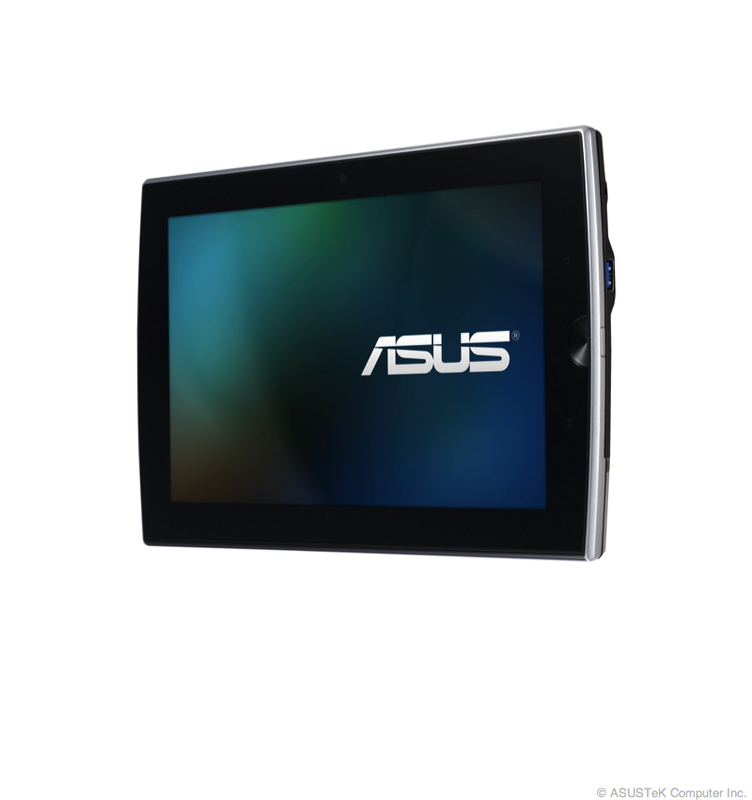 Display provided with the 10inch tab gives a resolution of 1280 x 800 IPS display and a 178 degree viewing angle. This display provides a smooth motion of videos running in HD as reported on a review by laptopmag.com, with the slider extended even seems like a stand and serves a better viewing angle like a small TV. Its capacitive digitizer supports up to 10 fingers of input with a smooth reliable response. According to laptopmag, the model provides a great output with the 1 GHz Nvidia Tegra 2 CPU and the 1GB of RAM. Games like Need for Speed or a Flash episode of Castle on ABC.com are played with a smooth frame rate as they tested. They even appreciated its quick response while opening an application. On Linpack, an Android test that measures overall performance, the Eee Pad Slider scored a little less than Lenovo’s Idea Pad K1 in both multi and single thread mode and Samsung’s Galaxy Tab 10.1 in single threaded operations. While on 3D-intensive benchmark An3DBench, it scored a bit higher than both Samsung Galaxy Tab 10.1 as well as Lenovo Idea PadK1. The Asus Eee Pad slider is also provided with a couple of unique ports which are new for the Tablet market. To its right side there is a full size USB port while to its left side we have a microSD card reader, a dedicated reset button, volume controller and the power button. Towards its top a mini-HDMI out port is provided for connecting an external display unit and a proprietary docking connector use to connect to either the AC adapter for charging, or a PC for copying files. A 5 Megapixels rear-facing camera is provided along with a 1.2Megapixels of a front facing camera mainly for video chat. According to Asus, the Battery will last for about 8 to 8.5 hours with a video rundown at medium brightness and with Wi-Fi on and performing other applications it will give around 7 to 7.5 hours of backup. The report from laptopmag.com says that this model is above the 6 hours 50 minutes tablet category for sure but the battery tests are still to be made. 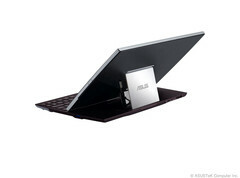 Asus has provided two options for sale of the Eee Pad Slider according to the size of the storage. The 16GB model is offered with a price of $479 while the 32GB model is available for $579. The keyboard always has a plus point over the virtual touch pad as it increases the typing speed of all the users. The Eee Pad slider always carries it along and hence a good deal for the users who does not mind the bulkiness of the device. And the price is also less than the Samsung Galaxy tab 10.1, though it has a better screen and weighs about a pound less than the slider. If you are really a user in need for a device with a strong hardware and software combinations and will mainly use the device for document editing and other tasks related with typing this model can really be a good choice.